As winter approaches, I want to provide information about the process we use to make decisions regarding closing school for inclement weather. There is no absolute formula for deciding to close school or stay open. Weather conditions can progress from mild to severe quickly, but we will do our best to inform you of a school closing as soon as we possibly can. • Are the roads safe to drive? 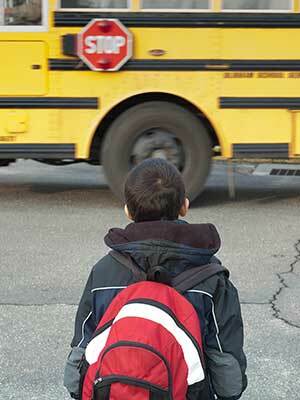 • Can students walk to school or their bus stops safely? • Are wind chill temperatures too cold for students to stand at bus stops? • Are wind chill temperatures too cold for students to walk to school? • Are the building temperatures within normal range? 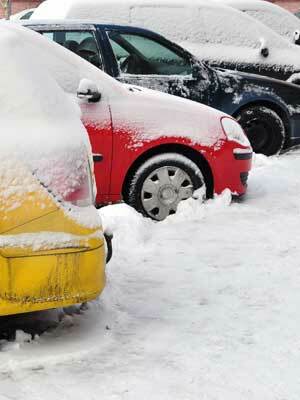 • What is the condition of our parking lots? • Are the walkways and entrances safely accessible? a great deal over the years, it is not an exact science. Sometimes forecasts are off, and we will do our best to gather all the information available to us to make a prudent decision. We consider student safety first and foremost, and we will make our decision based on their best interests. At approximately 4:15 a.m., a team of district leaders begins the process of making a decision concerning our ability to safely conduct school. We start by driving different routes and areas of our district, covering the majority of district roads (including roads which have large hills, curves or exposure to drifting.) Our purpose is to determine if it is safe to have buses and student drivers on the road and if conditions are safe for students who walk to school. Fortunately, we have outstanding service from the City of Gahanna and Jefferson Township road crews, who work through the night to clear and salt roads for morning commutes. We analyze weather reports and updates from the Gahanna Police and attempt to make a decision by 5:30 a.m.
On days we decide to delay or close school, we will use our email messenger system to inform you, so please make sure you have turned on “notifications” in your parent portal on Infinite Campus. The following media outlets will be notified: WTVN, WCOL (FM & AM/WJFX), WCLT, WKRZ, WMNI-AM, WUFM, WCMH NBC4, WBNS 10TV, WSYX ABC6, WTTE FOX28, and The Columbus Dispatch and we will post the information on our social media channels (Facebook, Instagram, and Twitter).